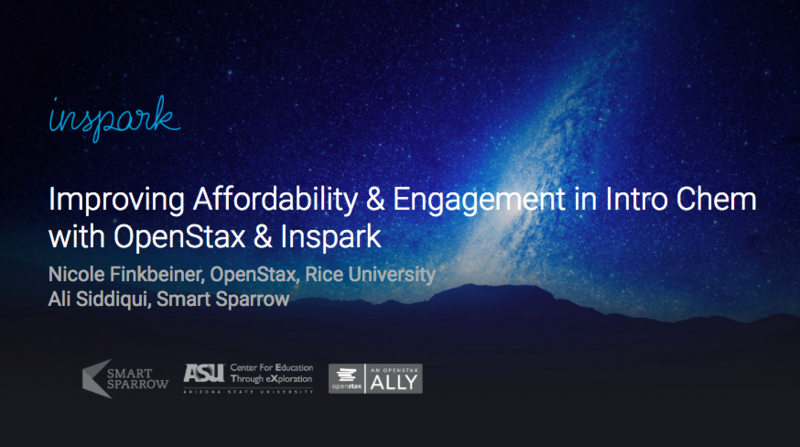 OpenStax and the Inspark Teaching Network hosted a webinar on October 30, 2018 highlighting the use of OpenStax textbooks as well as introducing our newest Smart Course: Critical Chemistry: The Science of Saving Lives. Increasingly expensive textbooks are a burden on today’s student, resulting in affordability being an important aspect when considering the tools and resources used in your classroom. In this webinar, learn how the Inspark Teaching Network, in partnership with OpenStax have taken charge and are introducing a new approach to non-majors introductory chemistry with Critical Chemistry: The Science of Saving Lives. Critical Chemistry blends inquiry-based curriculum through the use of case studies with adaptive learning in real-world simulations to help non-science majors develop critical thinking and problem solving skills. Additionally, Critical Chemistry is paired with OpenStax to serve as a textbook replacement that comes with guided reading activities, including vocabulary exercises, problem sets, and reflection questions where learning can be self-assessed. This package provides students with a high-quality digital resource and a supplemental textbook at a fraction of the cost. 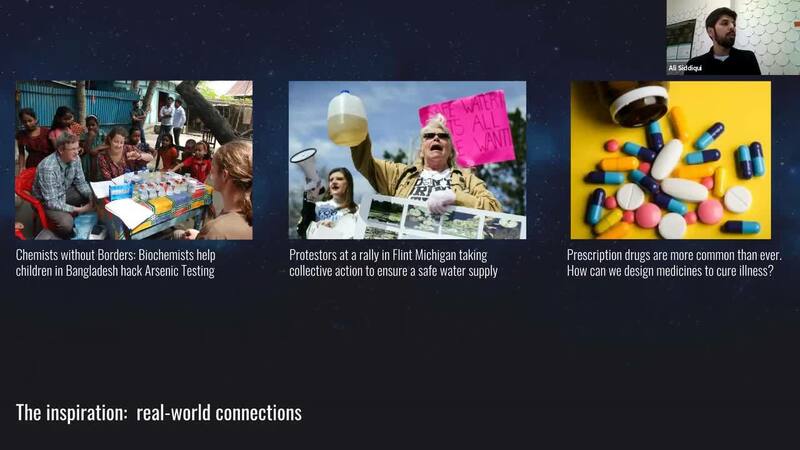 The Inspark Teaching Network is a strong partnership between universities, community colleges, scientists, and education experts working to transform science teaching and learning. The network empowers educators and learning designers to collaborate, build, and share next-generation courseware. The courseware harnesses the latest personalized, interactive digital learning technologies, and the learning content focuses on exploring real-world scientific questions to motivate and engage today's students. The Inspark Teaching Network is led by Smart Sparrow and Arizona State University, and supported by the Bill & Melinda Gates Foundation. Learn more at https://www.inspark.education. As a nonprofit education technology initiative, OpenStax is committed to improving access to quality learning materials. In addition to college textbooks, OpenStax also provides Advanced Placement textbooks that are developed and peer-reviewed by educators, along with low-cost, personalized courseware that helps students learn. For more information, visit https://OpenStax.org.